7:00 PM to 9:00 PM at the K.K. Berge Building, Downtown Granite Falls. Retratos de nuestra nueva comunidad Latina: Portraits of Western Minnesota’s Emerging Latino Community. 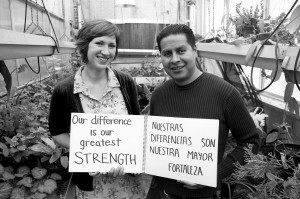 The photo essay exhibit is up through the month of May. Click here to learn more about the project. University of Minnesota Morris students Jordan Wente and Natalie Hoidal have sought to document the significance of the Latino Culture, and its importance to the rural landscape through black and white photography. From 2000 to 2010, the Latino population in Steven’s County increased by 234%. In order to put faces and stories to this number, we are pairing photographers in the Morris area with Latino members of the community. Funding for this photo essay exhibit has been made possible in part by Clean Up the River Environment (CURE) through a grant from the Kresge Foundation, The Center for Small Towns, University of Minnesota Morris, Granite Area Arts Council and by the voters of Minnesota through a grant from the Southwest Minnesota Arts Council thanks to a legislative appropriation through the arts and cultural heritage fund. 5:30 PM to 10:30 PM at the Granite Falls American Legion, 2nd floor. Open Mic! An opportunity for you to play music, perform slam poetry, try your hand at comedy, stage a skit, or share anything that can be performed! Event is free but RSVP is appreciated for a food count. 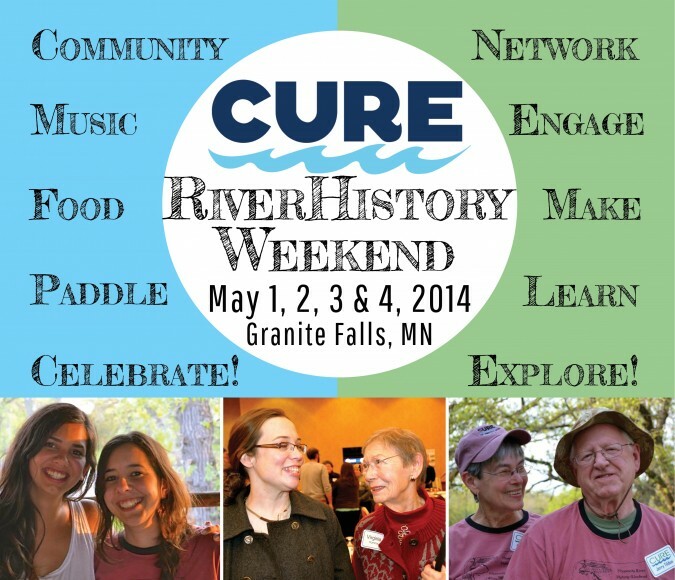 To RSVP, email Sarina@cureriver.org or call 877-269-2873 to let us know you plan on attending. People of all ages are welcome to attend this event! We want you guys to meet each other! Especially in rural areas, the sense of isolation can be great for those of us trying to imagine a better community, and we want to combat that. We want to support your growth! Part of our discussion will focus on what promising leaders need to succeed so that CURE knows what resources we can provide to help you on your path to success. We want to have fun! We’ve asked people we think are pretty darn cool to give short and engaging presentations; World Café conversations make it easier to talk to strangers as if they were old friends; and we’re finishing off the night with a social hour and open mic, so you can bring your musical, poetic, comedic, dramatic, or other talents with you to share! What’s with this Millennial Leadership Network thing, anyway? Everyone is welcome! Leadership doesn’t stop or start with Millennials; we hope the CURE Leadership Network will include a diverse array of people. However we will develop voluntary ‘cohorts’ within the network, so that people that work best together can collaborate on projects. The Network will keep your connections strong! It’s one thing to have the most fun you’ve had on a Friday night with us just once; it’s another if you, everyone else in the room, and CURE can all continue to work and have fun together well into the future. The infrastructure of the network will allow everyone to stay in communication and collaborate on more projects. Join CURE this Friday evening as we launch CURE’s Leadership Network! Read CURE’s latest blog post to learn more. 9:00 AM: Stenciling the Storm Drains in Granite Falls led by CURE Member Diana Moe. Painting the storm drains in Granite Falls that lead to the Minnesota River. Volunteers will meet at 9:00 am at the K.K. Berge Building for team assignments. Please dress in older clothes and shoes as you will be working with paint. It is expected that this activity will take three hours. This is a great activity for families and youth groups with adult supervision. 10:00 AM: Making Kestrel Bird Houses at the K.K. Berge Building in Granite Falls. Volunteers are needed to assist in the making of Kestrel Bird Houses. Kestrels are most easily distinguished by their typical hunting behavior which is to hover at a height of around 10–20 meters (33–66 ft) over open country and swoop down on prey, usually small mammals, lizards or large insects. These bird houses will be distributed and put up in the watershed to support the Kestrel population. 10:30 AM: Bluebird Birding at Upper Sioux Agency State Park with MN Master Naturalist & CURE Member Jill Haluska. 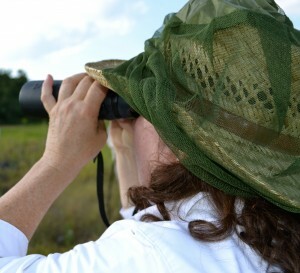 Join Haluska to learn about the bluebirds living at the Upper Sioux Agency State Park. The first part of the session will be inside learning about bluebird habitat and how to select and care for bluebird nest boxes on your own property. The second half of the session will be outside on the bluebird trail. Participants can follow a map or use GPS navigation to find the bluebird houses spread throughout the park. GPS units will be available for those wanting to borrow one. Participants may want to bring their own GPS unit or use a GPS navigation app on their smart phone. Where: Meet in the Activity Room at the Park Office, USASP, 5908 Highway 67, Granite Falls. Who: All ages, no limit. Activity level: Moderate. 11:00 AM: Paint Your Own Minnesota River Catfish led by artist & CURE Member Tamara Isfeld at the K.K. Berge Building in Granite Falls. Learning about and appreciating the fish species in the Minnesota River is one of the great gifts the river gives us. Join Isfeld in learning how to paint a Minnesota River Catfish. Participants will learn about catfish and how to paint them. No experience needed – just the desire to learn and a sense of humor. Participants should wear clothes that can get paint on them. Where: Plaza outside of the K.K. Berge Building, 807 Prentice Street, Granite Falls. Who: All ages (children under 8 should have an adult helper). 1:00 PM: Paint Your Own Minnesota River Sunny led by artist & CURE Member Tamara Isfeld at the K.K. Berge Building in Granite Falls. Learning about and appreciating the fish species in the Minnesota River is one of the great gifts the river gives us. Join Isfeld in learning how to paint a Minnesota River Bluegill or Crappie. Participants will learn about the Sun Fish family and how to paint them. No experience needed – just the desire to learn and a sense of humor. Participants should wear clothes that can get paint on them. Where: Plaza outside of the K.K. Berge Building, 807 Prentice Street. Who: All ages (children under 8 should have an adult helper). 1:00 PM: An Afternoon with author & poet Gwen Westerman at the K.K. Berge Building in Granite Falls. 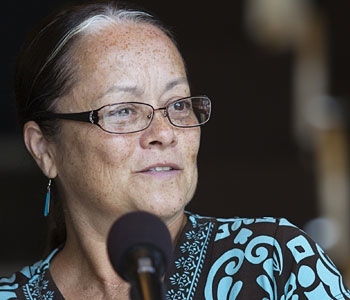 Dr. Gwen Westerman is no stranger to the Minnesota River Valley as she is an enrolled member of the Sisseton Oyate. The recipient of numerous regional and national awards for her literary works as well as her fiber arts, she will be reading select passages from her latest publication “Following the Blackbirds.” The speaker’s grandmother urges, “Look for blackbirds … they always / go to water.” The recurring image of blackbirds signals an instinct to return to language and land, two elements that are tangled in Westerman’s work. Westerman teaches at Mankato State University and her husband Glenn Wasicuna live in Good Thundar. Where: K.K. Berge Gallery, 807 Prentice Street Who: All ages, free and open to the public. 11:00 AM: Safety Training with Wild River Academy at Wegdahl Chippewa County Park. 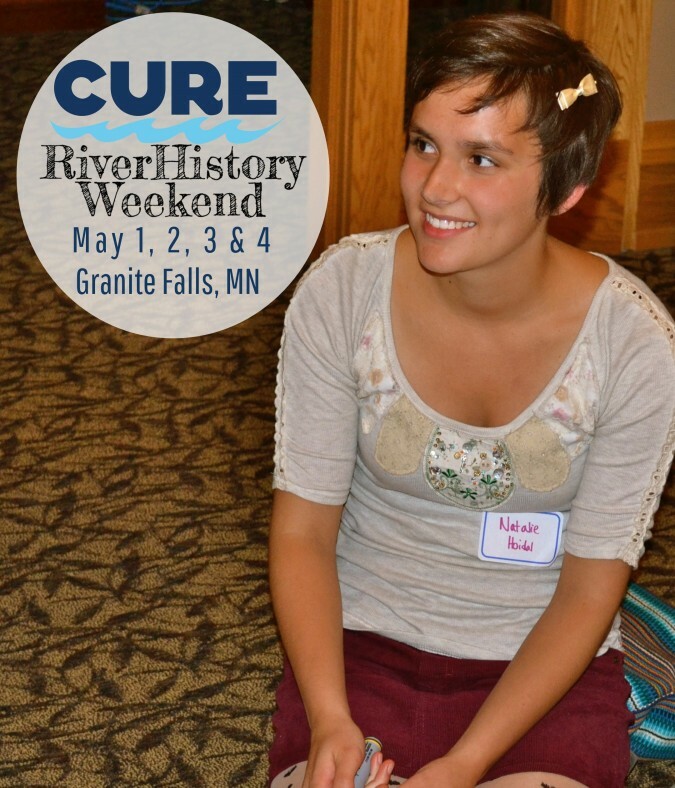 The team from Wild River Academy, Anna Johnson, Nick Ryan and Natalie Warren will provide water safety basics and paddling basics for your river adventures. Anna is a Wilderness First responder and Nick and Natalie are Wilderness First Aid certified. Where: Wegdahl Chippewa County Park. Who: All ages, free and open to the public. Experience level: Basic to intermediate. 12:30 PM: Self-organized Paddle Trips. 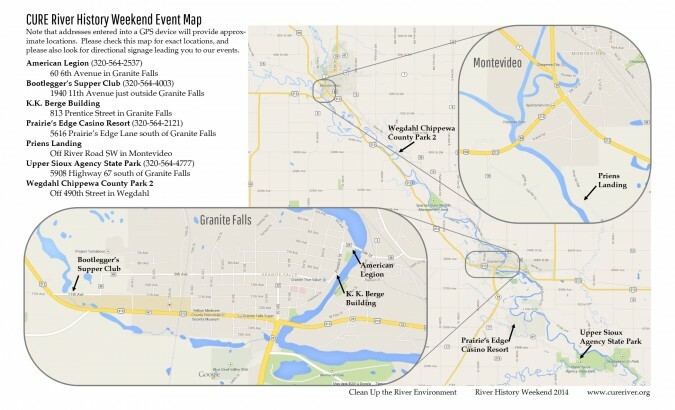 Stations will be set up at Wegdahl Chippewa County Park for people to gather & meet to paddle other rivers in the Upper MN River Watershed. 1:00 PM: Family Paddle Trip with the Eco-Voyageur Canoe led by Prairie Woods Environmental Learning Center (PWELC). Meet at Wegdahl Chippewa County Park. Begin at Priens Landing in Montevideo; end at Wegdahl. Where: Check in at Wegdahl Chippewa County Park. Who: All ages. Activity Level: Beginner. 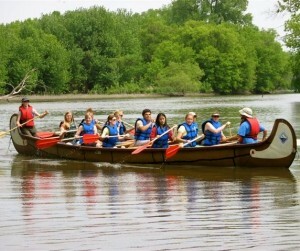 3:00 PM: Family Paddle Trip with Eco-Voyageur Canoe led by PWELC. Limit of 17 spots per Eco-Voyageur trip. You may reserve your spot by calling Dixie at the CURE Office 877-269-2873. Reservations are required & shuttles will be provided. 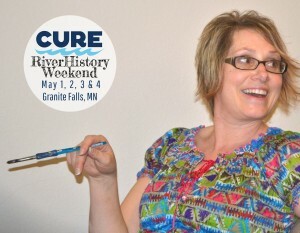 You may attach the form to an email and send to dixie@cureriver.org OR you may print it and mail it to 117 South 1st Street, Montevideo, MN 56265 with your payment OR you may stop in the CURE Office between the hours of 9 AM and 5 PM, Monday through Friday, to drop off your form and payment. Having trouble? Please call Dixie Toll Free at 877-269-2873 for help or to register via phone. Times for the Annual Meeting are approximate. 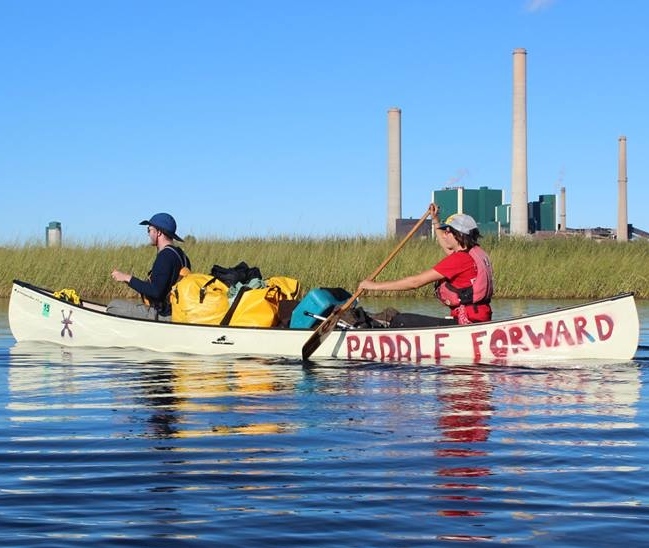 More about the Paddle Forward Presentation: Last fall, Wild River Academy sponsored eleven young adults to paddle the length of the Mississippi River to engage students in watershed education through an educational model called adventure learning. 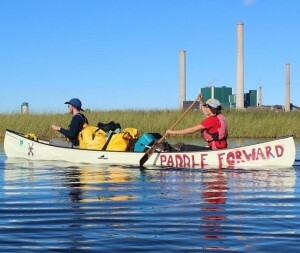 Through blog posts, pictures, videos, and discussion questions, K-12 schools across the nation followed the Paddle Forward expedition online to learn about our nation’s greatest watershed. The presentation led by Anna Johnson, Nick Ryan and Natalie Warren consists of adventure stories, speculations and observations of the balance between industry and nature on the Mississippi River, and the hospitality of river communities along the route. Wild River Academy is a non-profit organization in the Twin Cities dedicated to engaging communities in watershed education and outdoor recreation. The 2014 Paddle Forward trip will take place on the Illinois River next fall. More about singer/songwriter James Hersch: For over thirty years acclaimed writer, singer and guitarist James Hersch has been quietly building a repertoire of work that puts him squarely on the edge of acoustic music’s importance in North American culture. James has a rare mixture of straight forward musical talent, humor and sensitivity that allows him to create songs that speak to what is common in all of us. James is one of those few performers who allow his listener to experience his music through intimate images which confront and celebrate today’s human condition. James, a native Minnesotan, has eleven album credits to his name and has become known for his story song releases “BackTracks” and “Innerweather” (strictly acoustic, just James, his voice and his guitar). Hersch has been nominated National NACA Coffeehouse Entertainer of the Year several times and has been a finalist at the international Kerrville Folk Festival. He is a ‘Telly’ award winner for his original soundtrack for the 2009 PBS documentary, “Paving the Way: The National Park to Park Highway”. James’ reachwithme program has been honored with the Harry Chapin Award for Contributions to Humanity. 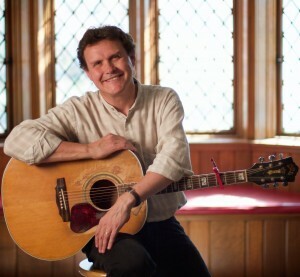 Possessing a troubadour’s heart, James is asked to talk and sing about music’s power to gather and connect. 10:00 AM to 4:00 PM at the Prairie’s Edge Casino & Resort Convention Center. 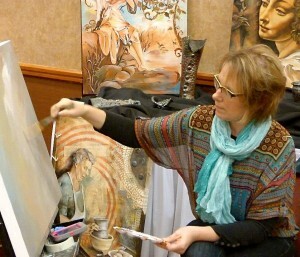 Approximately 35 artists from around the Southwestern Minnesota area will be selling and demonstrating their art. Free & open to the public. Refreshments will be served. This event sponsored by the Granite Area Arts Council and 2014 marks their 7th year hosting this event. Call (320)564-4240 for more information or click here. A big THANK YOU to our event sponsors: The Kresge Foundation, McKnight Foundation, Bush Foundation, Scheels All Sport, St. Cloud, Center for Small Towns, Morris and Jager Building Supply, Dawson.